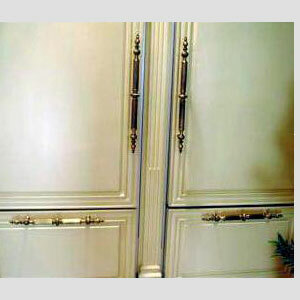 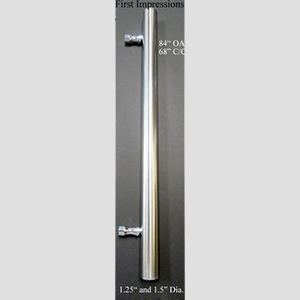 APPLIANCE HANDLES AND KNOBS FROM FIRST IMPRESSIONS INTERNATIONAL,INC. 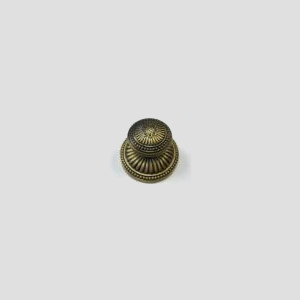 Many of our most popular and best-selling appliance handles and knobs are available in stock and are ready to ship within two days. 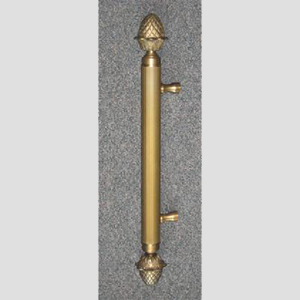 Our classic, ornate, Spanish forged brass #833 door pull (shown below) offers our most popular, gorgeous, and traditional design. 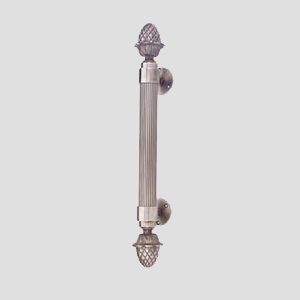 This pull has found a place in the finest houses, hotels, and businesses all over the world. 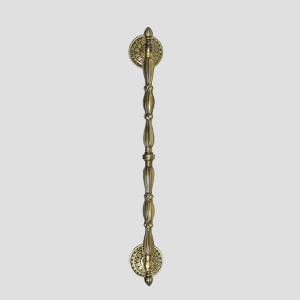 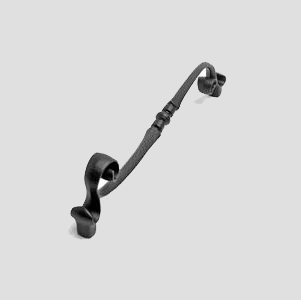 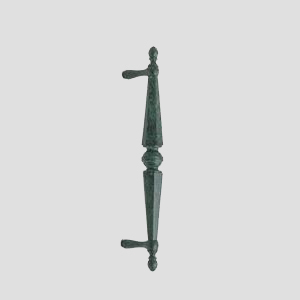 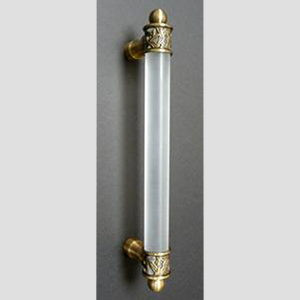 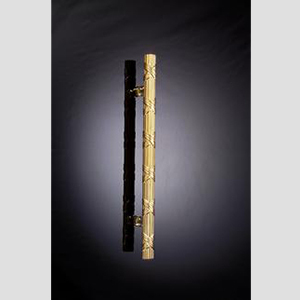 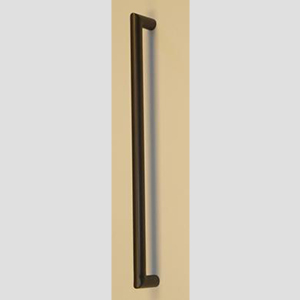 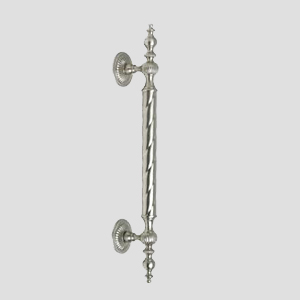 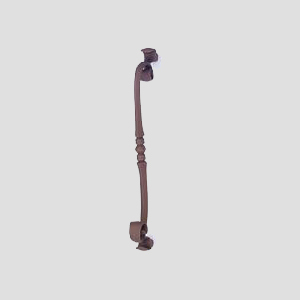 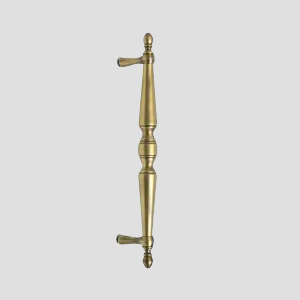 At a great price along with our new quick ship program, and available in a multitude of finishes and lengths up to five feet, it's no wonder that our Spanish forged brass door pull is one of our most popular pieces. 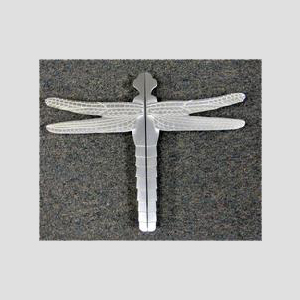 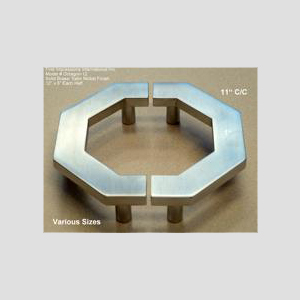 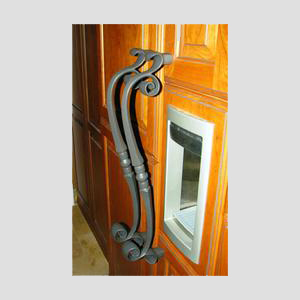 Great for appliances, entry doors, shower doors, and furniture! 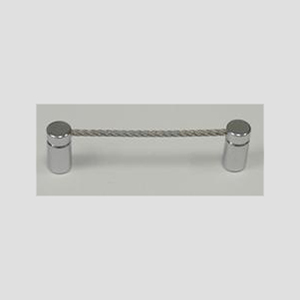 Appliance handles and knobs for both large and small scale needs can be browsed below, as well as local and international brands that have chosen First Impressions as the designer and manufacturer of their products. 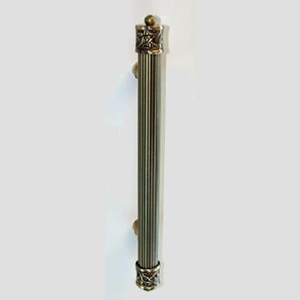 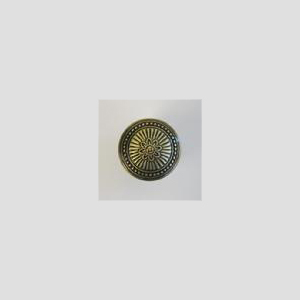 Shop our appliance handles and knobs below and find the perfect piece to complete your vision. 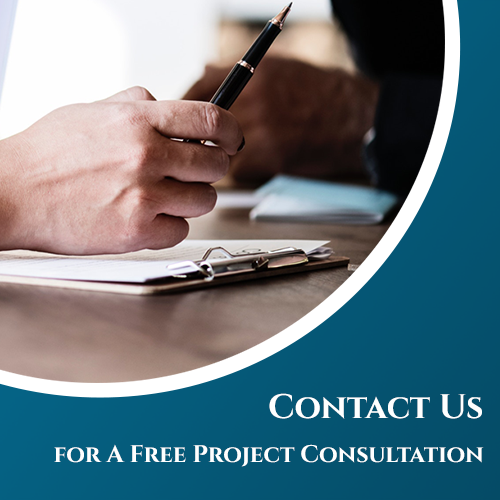 For any questions or custom designs don't hesitate to call us at 954-419-9918 or click here to contact us for more information. 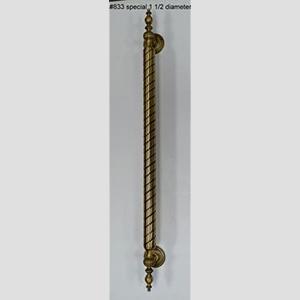 #833/8 CUSTOM 1 1/2" DIAMETER ROPE BAR IN ANTIQUE BRASS FINISH. 30" LONG. 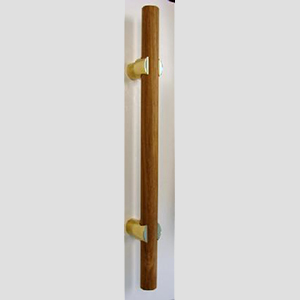 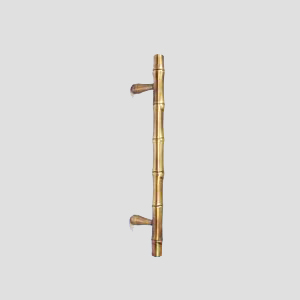 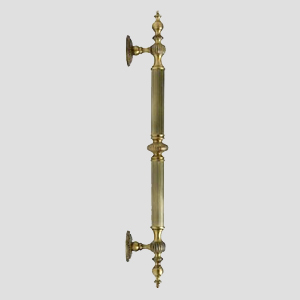 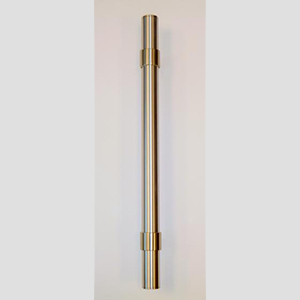 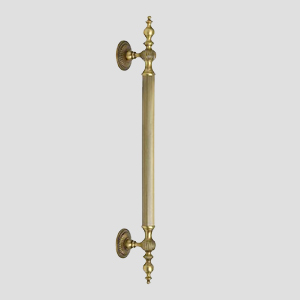 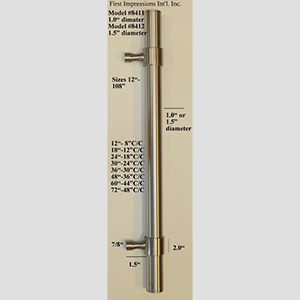 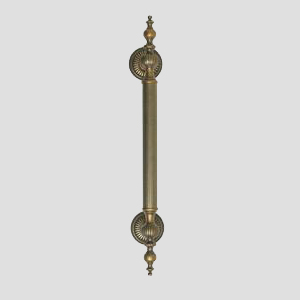 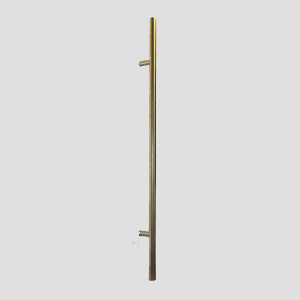 #CL-MITER 1' SOLID BRASS MITERED PULL SHOWN IN BRONZE. 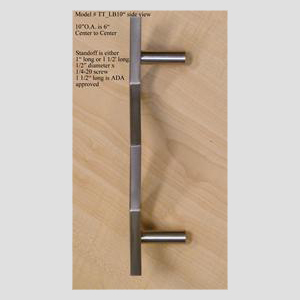 THIS PULL MEASURES 18". 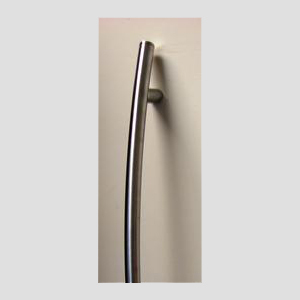 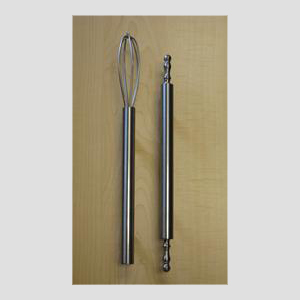 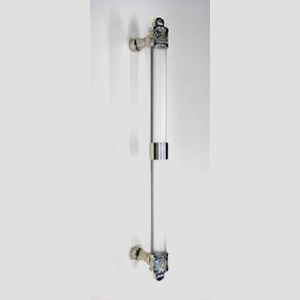 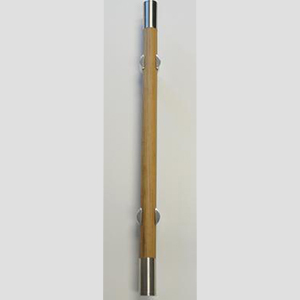 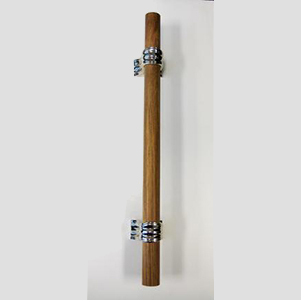 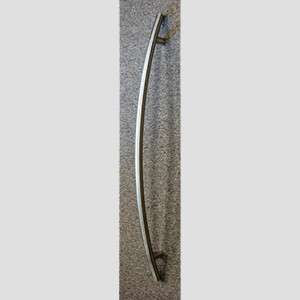 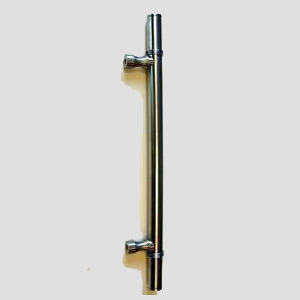 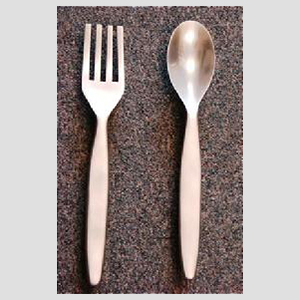 DS-BSS - THIS HANDLE CAN BE ANY LENGTH. 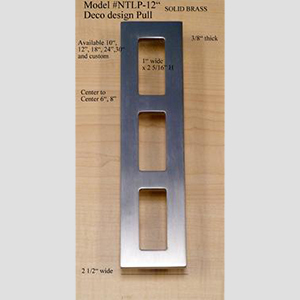 Our customers are always central in our design focus and process. 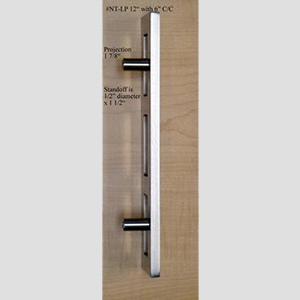 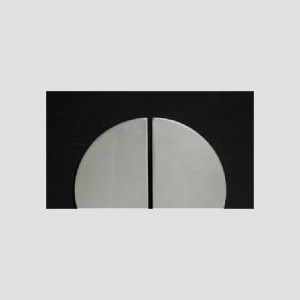 Every appliance handle and knob that we design is, first and foremost, created for our customers. 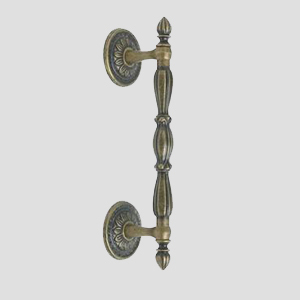 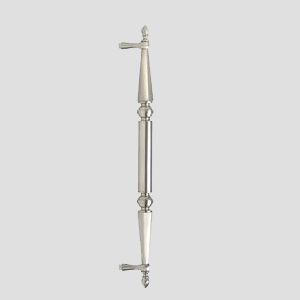 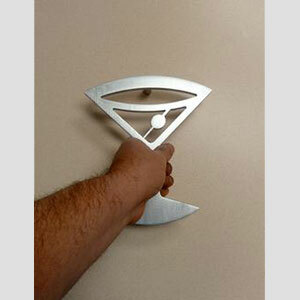 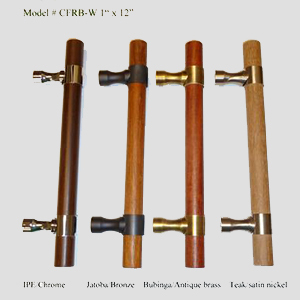 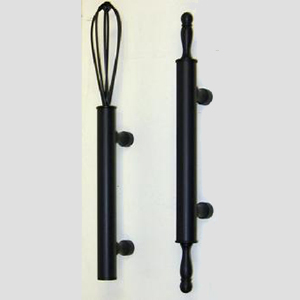 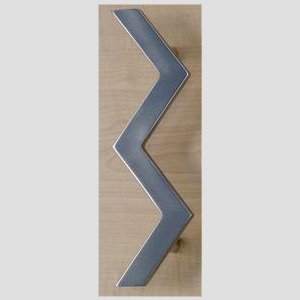 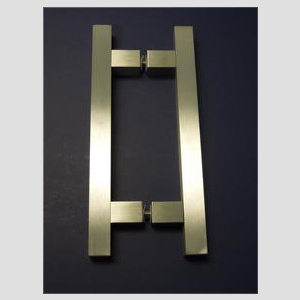 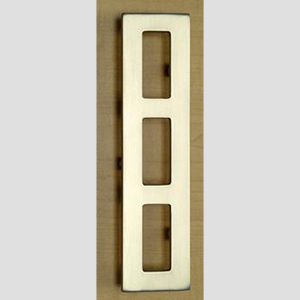 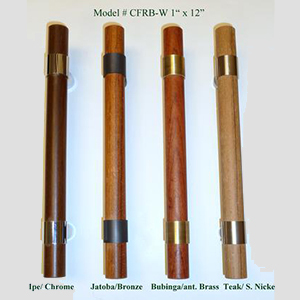 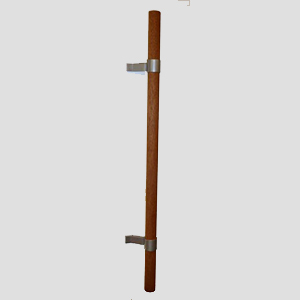 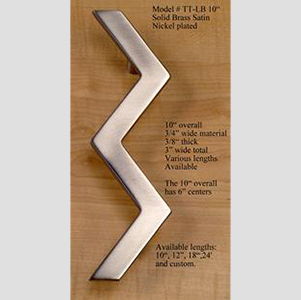 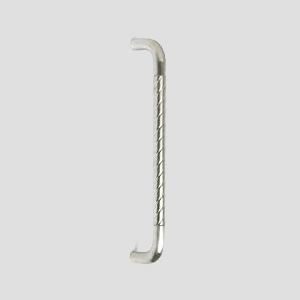 We take pride in designing handles that are both beautiful and functional for our clients. 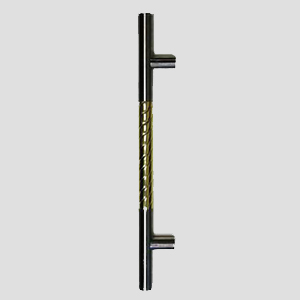 Our lines of commercial door handles and appliance knobs are designed to give you the best designed and functioning piece possible. 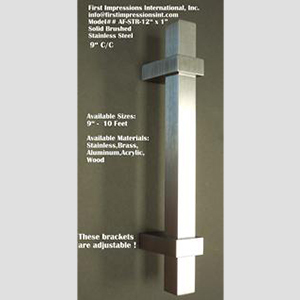 Throughout this page you will come across a variety of lines and designs, all crafted with the same care and consideration for you, our valued customer. 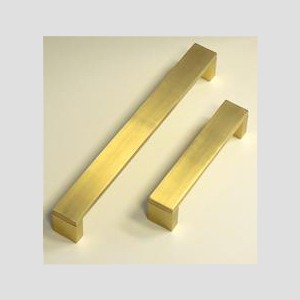 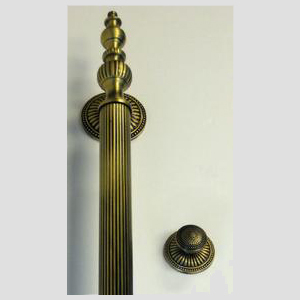 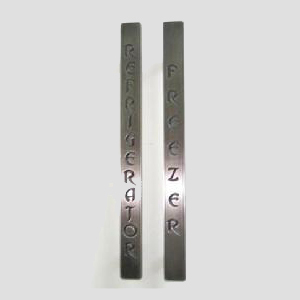 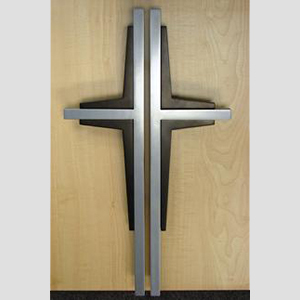 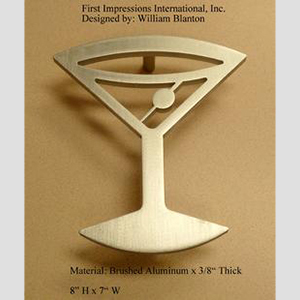 Whether you are looking for brass, acrylic, or brushed metal handles we have what you need here at First Impressions International. 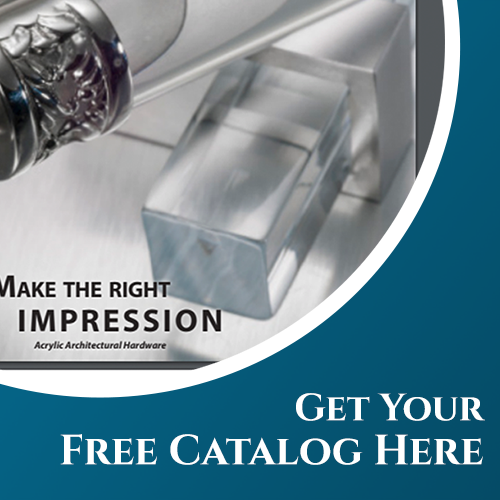 If you don't see exactly what you are looking for don't hesitate to call us at 954-419-9918 or click here to contact us today for any questions or custom design options you would like to explore. 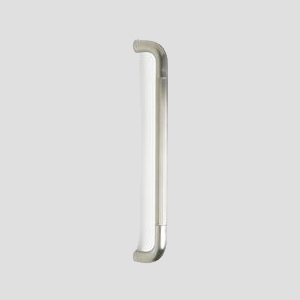 If you want to know more about our design process check out an interview with our lead designer, James Padilla. 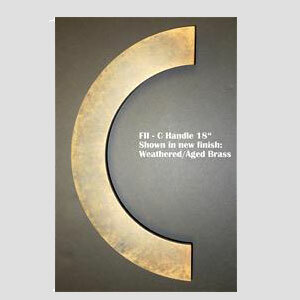 CFR 2002 SATIN NICKEL 18"
#833/1/24" SHOWN IN AGED BRASS. 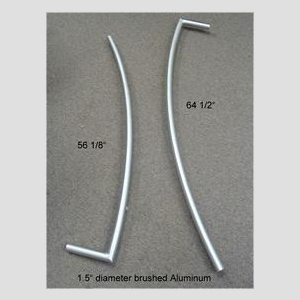 LENGTHS FROM 15"-60"